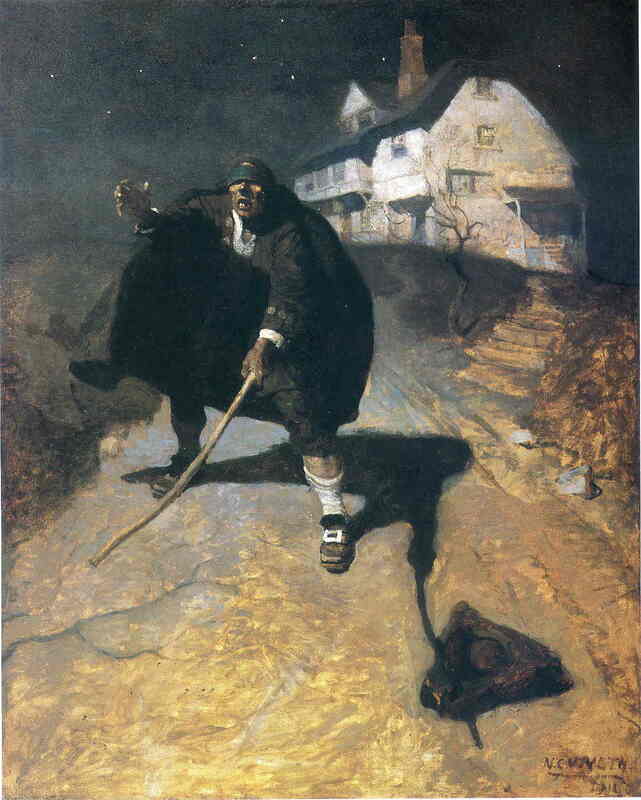 Remember that the poet, too, is blind; so he has a special feeling for “the blind old buccaneer” who turns Jim Hawkins’s world upside down. Some things start clicking into place. First of all, the poet uses the intimate form of “you,” not the formal form. It looks as if he is addressing himself. Curiously, the Spanish contains no reference indicating that these other golden beaches are “far away.” Rather, it moves directly to the poet keeping incorruptible his own treasure, that of “vast, vague, and necessary death” [my own literal translation]. Now why would Borges, blind as he is, wish for death and envy Blind Pew for his “beautiful war”? The answer is interesting, because the more of Borges you read, the more you discover that Borges is the descendant of military heroes. One of them fought in Peru at Junín to evict the Spanish. 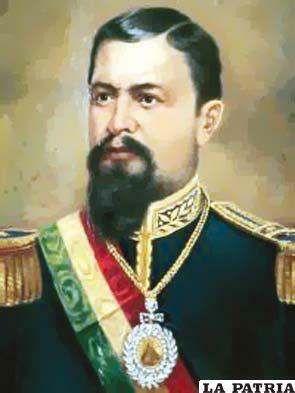 Another was Colonel Francisco Borges Lafinur (1835-1874), who died at the Battle of La Verde. The scion of these military heroes, Borges wished that he himself could have been a military hero. His stories and poems feature knife fights, hoods in the suburbs of Buenos Aires, and bravery in battle between the Unitarios and the Federales. Instead, he was born a weakling with eye troubles, like his father before him. No one can be held responsible for his dreams, even as wild as mine were last night. Various attractive women were offering me their breasts to fondle, when—quite suddenly—a physician wearing a stethoscope and white lab coat informed me that the underside of the female breast is so soft because of an internal organ officially referred to as the Fruits of Luigi. I know I’ve been under considerable pressure because I’ve been working seven days a week, interspersed with nasty arguments with my boss, who is not aging well. So I am grateful I was informed via my dreams of this useful organ. So Now They Want Religion, Too?! The vast new field of corporate rights gives me a wicked idea: If corporations are people—and now, maybe, they even have religious rights—it’s time to start treating them like people. As a data processing worker in the accounting profession, I would like to make corporations subject to a higher tax rate, just like individuals. Why should corporations be taxed on profits alone? 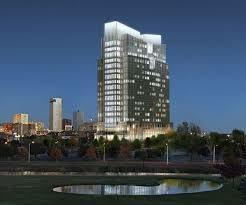 And at the giveaway rate of 20% No, put corporations on a parity with individuals, who are currently taxed at 26-28%. If a corporation makes millions of dollars, under no condition should they get off from paying their fair share. And the Alternative Minimum Tax (AMT) should be modified so that for each million dollars of gross income, there is additional AMT levied. Also, if they don’t offer health insurance to their employees, perhaps they should be fined by the Affordable Care Act. Not only have corporations had a free ride in this country, but they have been the biggest crybabies of all! They are absurdly sensitive to tax, and will move to another state if they think they can get a better tax deal. As Mitt Romney said during his abortive 2012 presidential campaign, “Corporations are people, my friend!” Let’s hold their feet to the fire just like the Federal and State governments do to us. If they cry, hit them with a Crybaby Tax. His real name was Oscar Agustín Alejandro Schulz Solari, but he was better known under the name Xul Solar. Born in Buenos Aires of a Latvian father, he spent his whole life in Argentina. When I was in Buenos Aires in 2006 and 2011, I desperately wanted to visit his museum; but I just wasn’t able to do so. Before he went completely blind in the 1950s, Jorge Luis Borges—whom you may know as one of my favorite writers—befriended him and wrote about his paintings. I have always been intrigued by what I have seen of his work. 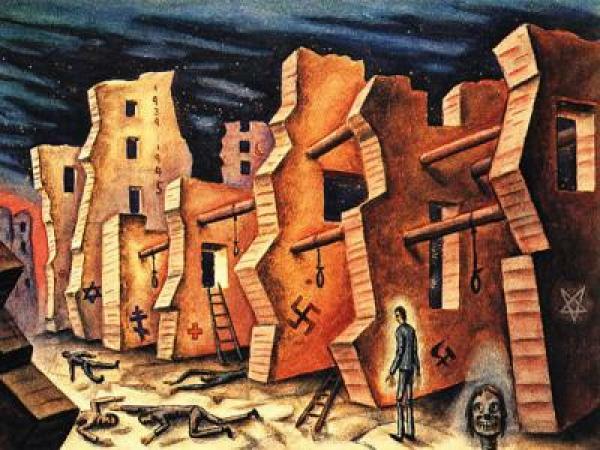 If you are interested in seeing some of his work from the 1920s through the 1960s, take a look at the website of the Museo Xul Solar, which is in Spanish but easy to navigate. Versed in all disciplines, curious of all mysteries, the father of writings, of languages, of mythologies, guest of hells and heavens, “panchess-player,” author and astrologer, perfect in indulgent irony and in the generous friendship, Xul Solar is one of the most important events of our age. There are minds who profess probity, others, discriminate abundance; Xul Solar’s plentiful invention does not exclude honest rigor. His paintings are documents of the unearthly world, of the metaphysical world in which the gods take the forms of imagination, dreams. Passionate architecture, happy colors, many circumstantial details, labyrinths, homunculi and angels unforgettably define this delicate and monumental art. The taste of our time vacillates between mere linear pleasure, emotional transcription and realism painted by a dauber’s brush. Xul Solar renews, in his ambitious but modest way, the same painting of those who do not see with their physical eyes in the sacred field of Blake, of Swedenborg, of the yogis and of bards. Oh No, Not the Bible Again! I cannot help but think that people in our society are altogether too quick to accept the Bible as the ultimate authority for, well, just about everything. At the same time, people are not really reading the scriptures with any degree of intelligence. If they were, they would feel someone let down that, in the Book of Job, Jehovah is hanging out with Satan and makes a bet with him that, regardless what He does to the prayerful man, Job will still be in His ball court. So He proceeds to impoverish Job, kill his wife and children, make off with his livestock, and saddle him with three “friends”—Eliphaz, Bildad, and Zofar—who accuse the poor man of deserving whatever befalls him. “If a man also lie with mankind, as he lieth with a woman, both of them have committed an abomination: they shall surely be put to death; their blood shall be upon them.” (Leviticus 20:13) Oh, well, there goes gay marriage. Are you listening, Justice Scalia? And there are also a few prohibitions regarding heterosexual fornication that are incredibly strict. Most violations seem to call for the death penalty. So I ask you, why do people accept the Bible as the ultimate authority? Parts of it are several thousand years old. And the most recent part, the Book of Revelation, is so flat-out loony that it might as well be. People who come to my door attempting to convert me to their oddball evangelical sect are totally flabbergasted when I tell them I do not accept the authority of the Bible. That means they can’t use it to quote at me to substantiate their every argument. It effectively shuts them up and makes them go down the stairs muttering. Withal, I can still believe in God, but without accepting all this extraneous claptrap. 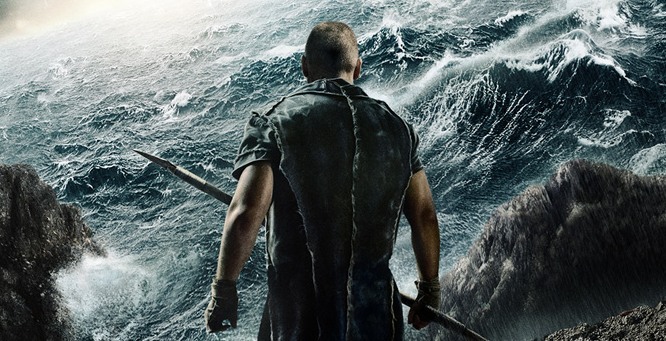 Oh, and I have no intention of seeing the new movie version of Noah, from which the above still is taken. Way back in the early days of Personal Computers, space was at a premium. Very early on, back in the 1980s in fact, I quickly learned to use PKZIP and PKUNZIP to compress and decompress files that I was not using frequently. 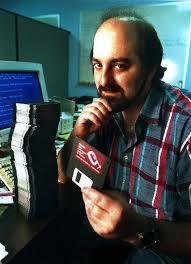 The PK in the names stood for inventor Phil Katz from Milwaukee, whose company PKWARE pretty much owned the business. Then the lawsuits came, from a patent troll named System Enhancement Associates (SEA), which tried to establish the similar ARC format. For whatever reason, perhaps even before this happened, Phil turned to drink. He was arrested so many times for drunk driving that he stayed mostly in hotels between Milwaukee and Chicago. It was in one of these hotels in 2000 that Phil was found dead in his room with an empty bottle of peppermint schnapps at his side and two other empty liquor bottles nearby. He was only 37 when he died. Not all the innovators in the computer business turned out like Bill Gates or Steve Jobs. Although at one time, PKWARE had twenty employees, Phil was mostly an absentee loner and was not drawn to the business side of his enterprise, though he was not averse to draining the profits whenever he could. Today I use the ZIP format on an almost daily basis. Although PKWARE is still in existence (at least, their website is), most people use either WinZip or just the ZIP functionality built into the Microsoft operating system (which Phil hated). So drink a toast to Phil Katz, who didn’t really want to be famous or rich. He just wanted to be left alone.